Oh My Guru! Spicy Tomato is a modern, bang-up-to-date Indian take on the classic crisp. The blend of sharp cayenne, black pepper and paprika add a touch of fire to its sweetness. Like it? 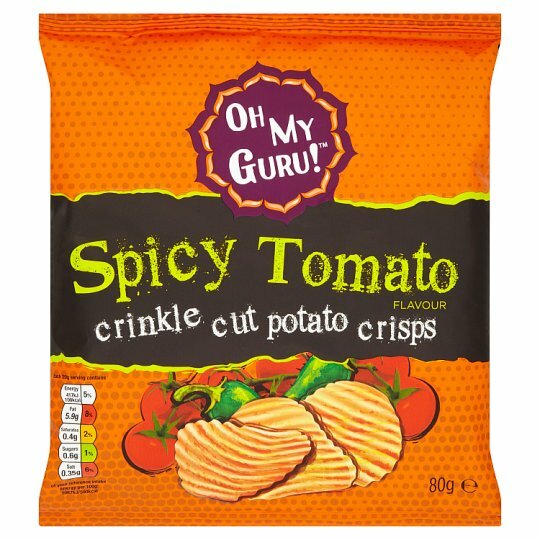 This is just one flavour of Oh My Guru! Crinkle Cut Potato Crisps - a range that refuses to conform to any stereotype. Store in a cool dry place., Once opened consume within 3 days.